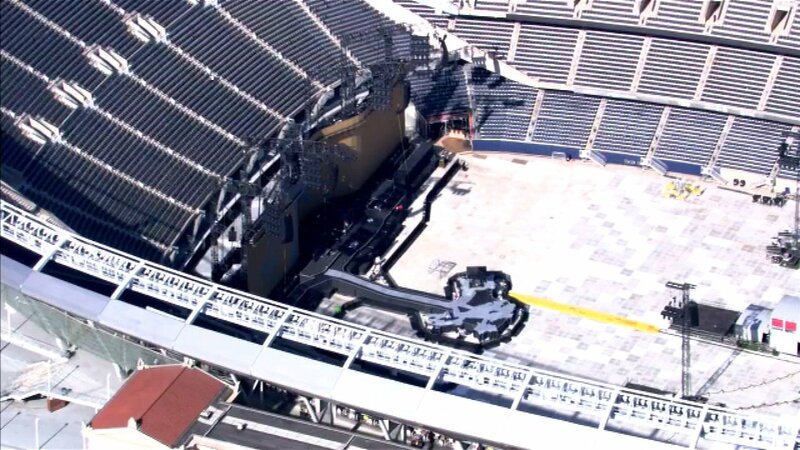 Crews put together the stage before U2's concerts at Soldier Field. CHICAGO (WLS) -- Legendary rock band U2 is in town Saturday for the first of two big shows at Soldier Field. Crews have been setting the stage for concerts Saturday and Sunday. There will be increased security. No large bags are allowed and fans should get there early to go through screening. The band is marking the 30th anniversary of their landmark album "Joshua Tree" and will perform every song.